This morning the children had lots of great activities to be getting involved in. In the fine motor tray we had the pegs out. 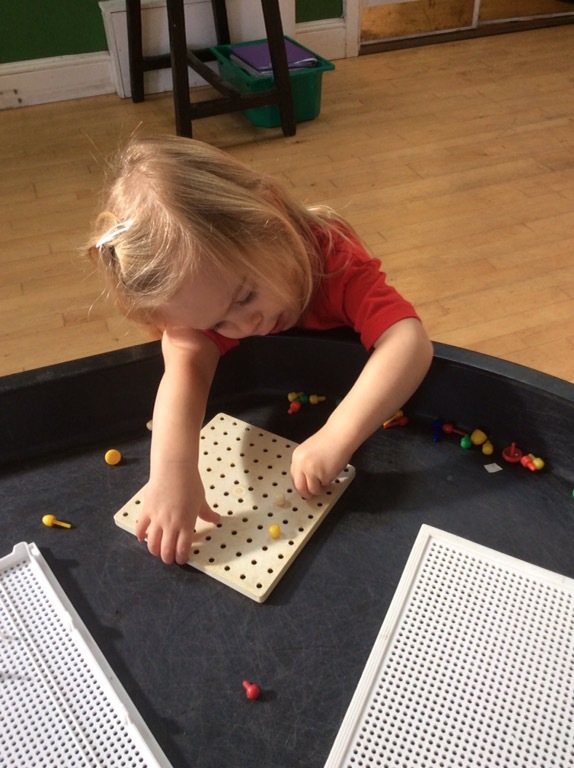 The children all had a go at placing the pegs into the trays making different patterns. 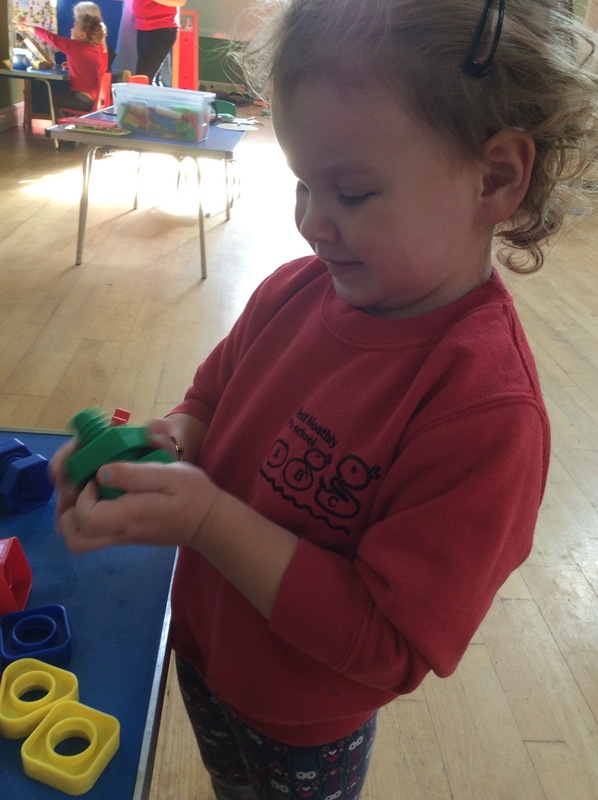 We also had a few new activities, a plastic nut and bolt activity where the children can practice tightening the bolts. 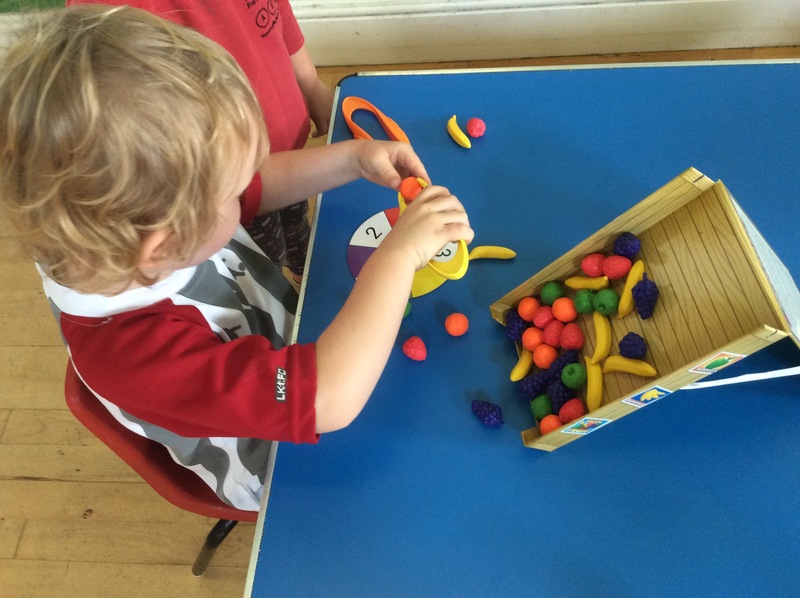 We also had a new ‘Avalanche Fruit Stand’ game, developing pincer grip, fine motor, colour and fruit recognition. At Circle Time we put up the date and weather today, we also talked about the change in weather now that we are entering Autumn how the mornings are getting colder.